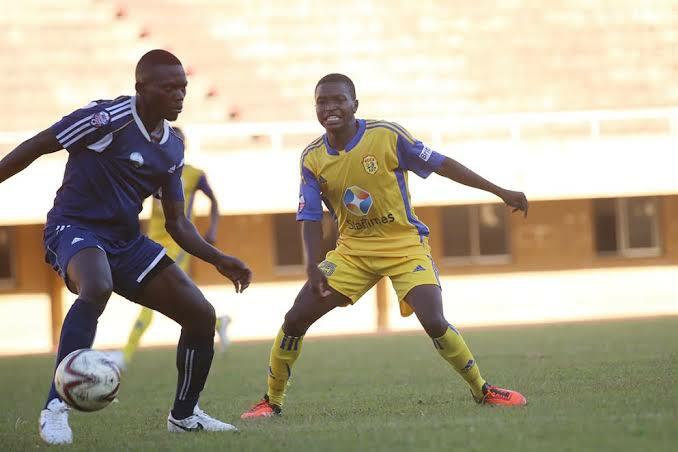 Rahmat Ssenfuka (left) against KCCA last season. Credible sources confirm that reigning Uganda premier league side Vipers SC have completed the signing of former Police FC captain Rahmat Ssenfuka. The midfielder has put pen to paper on a four (4) year deal that will see him at the Kitende based side till the end of the 2021/2022 season. Behind the move is Musa Sebulime ‘Atagenda’ who says the move is the best for the player who had also garnered interest from sleeping giants URA. “His quality is undoubted and he wanted a challenge away from Police, said Sebulime. “Besides, he couldn’t turn down a chance to play in the Caf Champions League,” added the Player Representative. Vipers have had to buy out Ssenfuka’s remaining two years at Police FC to acquire his services. The fees involved in the deal remain un-stated as per now. The Uganda Cranes midfielder, versatile enough to play as an anchor-man or in attack just behind the main striker becomes the league champions first official signing. Ssenfuka is expected to make his debut for the Venoms in the forthcoming CECAFA Kagame Cup due in Dar es Salam midway this month, his second international tournament after he was part of the Uganda Cranes Chan team in Morocco early this year. The signing of Ssenfuka galvanizes reports of a possible departure for midfielder Brian Nkuubi who is reportedly close to a switch to rivals KCCA. Still at Vipers, it is reported that they have reached an agreement to sign goalkeeper Bashir Sekagya from UPDF. Ssekagya is also on his way to Vipers. The youngster who was arguably among the best performers in the second round of the Uganda Premier League is set to become the first signing of the window for the league champions. The transfer should hasten the exit of goalkeeper James Alitho who has been strongly linked with a move away from Kitende in a bid to get first team football. First choice goalkeeper Ismail Watenga’s contract also expires soon but talks over renewal are reportedly underway. Sekagya is one of the best young goalkeepers in the country and has proved his worth while at UPDF. He spent a couple of years with 12-time league winners KCCA Junior Side until last season when he was released to the army side. The lanky custodian was arguably Steven Bogere side’s best performer last season with crucial saves that kept the side in survival race till last day of the campaign.